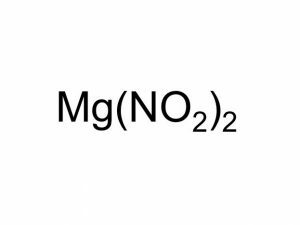 Magnesium nitrite represented by the chemical formula Mg(NO2)2 or MgN2O4 that bears the IUPAC name magnesium dinitride  is a white powder at room temperature that is soluble in water and alcohol [3, 4]. It is a magnesium salt and an ionic compound . It should be protected from moisture to prevent it from decomposing . 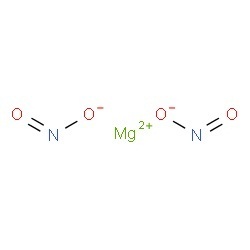 Magnesium nitrite can be prepared by reacting magnesium hydroxide with nitrous acid . 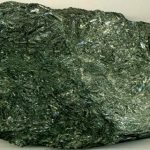 It can also be made by a reaction between cobalt nitrite and magnesium . In research work in laboratories . 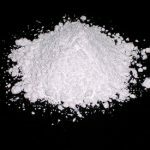 It is only available in small amounts commercially and is unstable limiting its use . 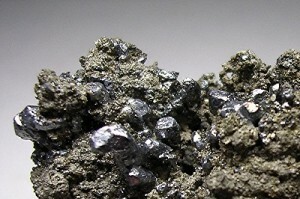 Though it is generally non-hazardous, it may pose a health risk if ingested [4, 5].